As you can see in the screenshot below, the interface is simple and straightforward. You can easily go through all the available tweaks and enable the ones you want to with a single click. If you want to try it out, go to the download page. TIP: While looking on the Support and Feedback Thread, I've noticed that there are a few bugs that need to be ironed out. Nothing major though. 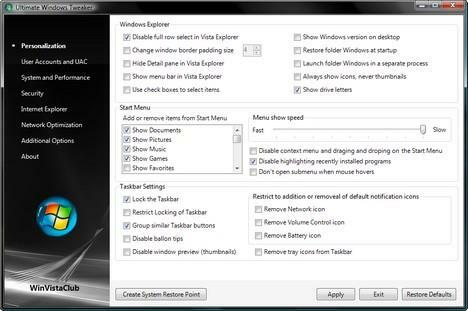 However, just to be on the safe side until new and improved versions are released, make sure you create a System Restore point before using the tool.